This year, The Domestic Violence Awareness Project has developed a unified message for inspiring action throughout DVAM: The #1Thing Campaign. The idea behind the campaign is inspiring individuals to consider what #1Thing they can do to end domestic violence. One person’s actions may seem insignificant, but together a community’s collective #1Things can lead to real social transformation. To learn more about the #1Thing Campaign and download an action guide and sample social media posts, click here. We have created a customized DVAM Toolkit for CCSNH and Granite State Colleges to use this DVAM! The toolkit includes ideas for DVAM activities and examples of successful past awareness campaigns! This toolkit shares ideas for how to get involved during DVAM, including sample blog posts, social media, messages, and educational graphics about domestic violence statistics. Visit the NCADV website to download. This webpage shares various ideas for DVAM campaigns you can use in your community, including key considerations in organizing a DVAM campaign, as well as various examples. Visit the NRCDV website to learn more. DVAM evolved from the “Day of Unity” held in October 1981. The Day of Unity soon became an entire week devoted to a range of activities related to ending domestic violence. In 1987, the first DVAM was observed. Each year since, the Day of Unity is celebrated the first Monday of DVAM. Health Cares About Domestic Violence Day is a nationally-recognized day that takes place on the second Wednesday of October. This year it will take place on Wednesday, October 10, 2018. Sponsored by Futures Without Violence, the awareness-raising day aims to reach members of the healthcare community and educate them about the critical importance of screening for domestic violence. Many survivors of sexual and domestic violence suffer from mental health problems that affect their long-term health and well-being. World Mental Health Day is observed to raise awareness of mental health issues and mobilize efforts in support of mental health. Support and celebrate the LGBTQ individuals in your community on National Coming Out Day, held annually to raise awareness of the LGBTQ community and civil rights movement. Sunday, October 14: #SelflessSunday – Donate your time, money, or in-kind donations to your state coalition or local domestic violence program. Monday, October 15: My Voice Monday – Have you helped pass legislation that supports survivors? Have you written an article about domestic violence in your community? Share how YOU are a voice against violence. Tuesday, October 16: Twitter Chat Tuesday – Join the bilingual (English & Spanish) Twitter Chat from 3:00-4:00 PM (ET) hosted by the NNEDV. The chat will be discussing #Safety4Survivors. Wednesday, October 17: #WokeWednesday – Take action! You can make a difference by advocating for legislation and elected officials that support survivors. Thursday, October 18: #PurpleThursday – Wear purple to show your support for survivors and for ending domestic violence! Share your purple on social media using #PurpleThursday. Friday, October 19: Fame Friday – Support survivors by analyzing how we, as a society, talk about domestic violence. Domestic violence is present in the pop culture we consume – through music, movies, television, books, and media. Share how you are reframing these narratives to support survivors. Saturday, October 20: #TechSafety Saturday – Technology has a major impact on survivors. Newly emerging technologies are cause for conversation about the ways that this technology can be misused to harm survivors, but also how these technologies can help hold offenders accountable and be a source of connection for survivors. 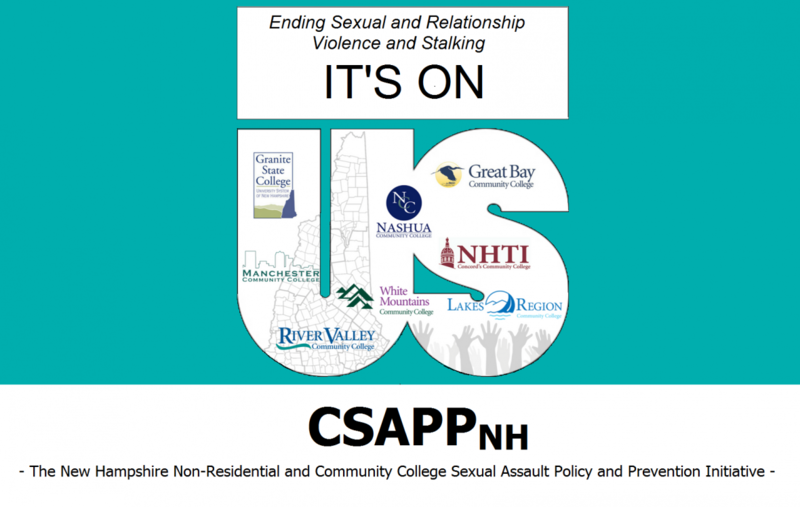 You can also view the CSAPPNH Calendar to see what DVAM events are happening across the state of New Hampshire this October. Previous postHead Back to School with uSafeUS! Head Back to School with uSafeUS!